This weekend's Nor'easter dumped up to 32" of snow on parts of the Northeast US, downing trees and cutting power to millions of residents. Flights were delayed at some of the nation's largest airports, and the storm is blamed for numerous car accidents. Even sea-level cities had 1-4" of snow... Central Park, NY had 2.9". The low pressure that brought us the rain Sunday afternoon continues to move off to the northeast this morning leaving dry air and partly sunny skies in its wake! Temperatures this morning fell into the upper 20s/low 30s once again but we'll see highs rise into the low 50s for this afternoon. You won't need the umbrellas tonight but you may want to grab the jacket. Temperatures around 4pm will be in the low 50s but by the time trick-or-treating ends the mercury will have dropped into the middle 40s. Overnight lows will fall into the middle 30s before rising by dawn Tuesday. Low pressure is pushing east across central Wisconsin this evening. An associated cold front drops southward from the low across Illinois, southeastern Missouri, into northeastern Texas. The system produced light rain amounting to a few hundredths of an inch. As of 10 pm cdt all of the precipitation was east of the Greater Rockford area. Skies will clear for a time this evening before backwash clouds move back in around midnight. Those clouds should break up before morning as drier air from Iowa is drawn eastward across northern Illinois. The ovenight low will be in the middle 30's. On Monday weak high pressure will make an attempt to take control of area weather providing partly sunny skies. The afternoon high will be cool... reaching into the low 50's. It will be mostly clear and cool on Halloween evening. Temperatures, during the early evening, when Trick or Trreating will be taking place, will be in the 40's with light winds. The overnight low will be around 34 degrees. A nice warm up will take place on Tuesday with southwesterly winds bringing warmer weather into northern Illinois. It will be mostly sunny with a high in the low 60's. The warmer weather will be short lived, however, as a cold front approaches rapidly from the west. Temperatures will reach the upper 50's on Wednesday morning before the front arrives, but it will get colder during the afternoon after the cold front passes off to the east. It will be mostly cloudy with scattered showers developing behind the front. A new low will spin up on the front near St. Louis on Wednesday night. That will slow the progress of the front to the east, and bring the Stateline a good chance of showers on Wednesday night. It will be mostly cloudy, breezy and cool with some lingering showers possible on Thursday. The high on Thursday will only be around 48 degrees. A ridge of high pressure will move across the area on Friday making for a day with partly sunny skies and seasonal temperatures around 53 degrees in the afternoon. On Saturday a major fall storm will blow up over Kansas. This could produce an early season snowstorm across parts of the northern plains from Saturday through Sunday morning. A strong southerly air flow will tap air out of the Gulf of Mexico, and bring it northward finto the midwest by Saturday afternoon. Temperatures will warm into the upper 50's, and possibly even into the low 60's by Saturday afternoon. Rain showers will develop. and possibly even some thunderstorms later on Saturday or Saturday evening as the intense low pressure storm center moves rapidly toward the northeast to a position over western lake Superior by 6 am on Sunday morning. It will be windy on Saturday, and windy and colder on Sunday. Temperatures have dropped off rapidly this evening with thin whispy cirrus above. Some rural areas dropped to the freezing level by 8 pm. Clouds will increase, lower, and thicken as the night progresses. The low in Rockford should be early, before the clouds thicken... around 32 degrees. A weak disturbance dropping in from the northwest will keep skies cloudy on Sunday, and produce light rain off and on throughout the day. Total rainfall should be from only a few hundredths to about 15 hundredths of an inch. The high will be in the low 50's. Some light showers may linger into the early evening hours on Sunday night followed by decreasing clouds after midnight. Overnight lows will be in the middle 30's. Weak high pressure will take control on Monday making for a mostly sunny day with a high in the low 50's. A nice warmup will ensue on Tuesday with winds shifting to the southwest in advance of a cool front dropping southeast across the plains. It looks as if Tuesday will be the pick day of the week with mostly sunny skies, and a high in the low 60's. Clouds will move in with the next system on Wednesday, and temperatures will drop off a bit with a chance of showers along with an afternoon temperature around 57 degrees. It will be mostly cloudy and chilly on Thursday with scattered rain showers possible. The high on Thursday will only be around 49 degrees. Friday and Saturday will be seasonable with a high in the low 50's. On Saturday there could be some scattered showers. LOCATIONS DROPPING INTO THE MIDDLE 20S. WASHINGTON -- NASA's newest Earth-observing satellite soared into space early today aboard a Delta II rocket after liftoff at 5:48 a.m. EDT from Space Launch Complex 2 at Vandenberg Air Force Base in California. NASA's National Polar-orbiting Operational Environmental Satellite System Preparatory Project, or NPP, successfully separated from the Delta II 58 minutes after launch, and the first signal was acquired by the Tracking and Data Relay Satellite System. NPP's solar array deployed 67 minutes after launch to provide the satellite with electrical power. NPP is on course to reach its sun-synchronous polar orbit 512 miles (824 km) above Earth. "NPP is critical to our understanding of Earth's processes and changes," said NASA Deputy Administrator Lori Garver. "Its impact will be global and builds on 40 years of work to understand our complex planet from space. NPP is part of an extremely strong slate of current and future innovative NASA science missions that will help us win the future as we make new discoveries." NPP carries five science instruments, including four new state-of-the-art sensors, which will provide critical data to help scientists understand the dynamics of long-term climate patterns and help meteorologists improve short-term weather forecasts. The mission will extend more than 30 key long-term datasets NASA has been tracking, including measurements of the ozone layer, land cover, and ice cover. NPP serves as a bridge mission between NASA's Earth Observing System (EOS) of satellites and the next-generation Joint Polar Satellite System, a National Oceanic and Atmospheric Administration (NOAA) program that will also collect weather and climate data. Scientists will use NPP data to extend and improve upon EOS data records. These satellites have provided critical insights into the dynamics of the entire Earth system, including clouds, oceans, vegetation, ice, solid Earth and atmosphere. NPP will allow scientists to extend the continuous satellite record needed to detect and quantify global environmental changes. "The measurements from NPP will benefit science and society for many years to come," said Michael Freilich, director of NASA's Earth Science Division. "NPP will help improve weather forecasts, enable unique scientific insights, and allow more accurate global environmental predictions. I'm confident that the strong partnerships forged in the NPP program between NASA and NOAA, industry, and the research and applications communities will ensure the success of the mission." The satellite will be operated from the NOAA Satellite Operations Facility in Suitland, Md. NASA will operate NPP for the first three months after launch while the satellite and instrument are checked out. NPP operations will then be turned over to NOAA and the JPSS program for the remainder of the mission. NPP data will be transmitted once every orbit to a ground station in Svalbard, Norway, and to direct broadcast receivers around the world. The data will be sent back to the United States via fiber optic cable to the NOAA Suitland facility. NPP data is then processed into data records that NASA and NOAA will make available through various data archives. The Delta II launch vehicle that delivered NPP into orbit also deployed auxiliary payloads within 98 minutes after launch. The five small "CubeSat" research payloads are the third in a series of NASA Educational Launch of Nanosatellite missions, known as ELaNa missions. The NPP mission is managed by NASA's Goddard Space Flight Center in Greenbelt, Md., for the Earth Science Division of the Science Mission Directorate at NASA Headquarters in Washington. The Joint Polar Satellite System program provides the NPP ground system. NOAA will provide operational support for the mission. Launch management is the responsibility of the NASA Launch Services Program at the Kennedy Space Center in Florida. It was a cold one this morning! Skies cleared out enough and winds remained fairly light, if not calm, through the early morning hours to allow temperatures to drop into the upper 20/low 30s! Look at how cold it got in Sterling! Rockford fell to 30° which is the coldest low temperature so far. There was a Frost Advisory for north-central Illinois, however northwest Illinois and southern Wisconsin were not included in that because many locations there had already experienced a freeze a couple weeks ago. It will be another chilly one tonight with temperatures falling back into the low 30s. One of our floor-directors here at WTVO/WQRF observed some small hail this afternoon on the east side of Rockford. There are no thunderstorms in the area, but since these showers are convective -- or vertical -- in their development with weak updrafts, this precipitation probably was hail and not sleet or graupel. There was some disagreement, however, on the above topic. The NWS out of Milwaukee has been calling it hail, while the NWS in Chicago is calling it graupel. In case you are wondering what graupel is, it is a heavily-rimed snow particle that looks like soft, small hail. The only real way you can differentiate it from hail is that it has a diameter less than 5mm. As stated in a previous post, a frost advisory has been issued by the National Weather Service in Chicago for most of the Stateline viewing area. Clearing skies late tonight will cause temperatures to near freezing for most areas... Especially away from the city of Rockford. The NWS in Chicago will stop issuing frost advisories on the 31st of October since the growing season has effectively come to an end for most of the area. An official freeze has yet to happen at the Rockford Airport, but away from the Rockford heat-island, most rural locations have had a killing frost. NORTHWEST INDIANA AWAY FROM THE LAKEFRONT AND HEAVILY URBANIZED AREAS...THROUGH DAYBREAK FRIDAY MORNING. THE NATIONAL WEATHER SERVICE IN CHICAGO HAS ISSUED A FROSTADVISORY...WHICH IS IN EFFECT FROM 1 AM CDT /2 AM EDT/ TO 7 AMCDT /8 AM EDT/ FRIDAY. * TEMPERATURE...WILL DROP INTO THE LOWER 30S AS WINDS BECOME VERY LIGHT. Brief, light showers will continue to dot the skies this afternoon and early evening. Just as we talked about this morning the cold air aloft has generated these showers and due to that very cold air above there may even be a few ice pellets/small hail associated with these. They shouldn't last too long once the sun sets this evening. A Frost Advisory has actually just been issued for Winnebago, Boone, Ogle, Lee, DeKalb and McHenry Counties beginning early Friday morning. The freshly fallen snow over Colorado can been seen nicely this morning as the sun continues to shine in the west. Some locations around the Denver area picked up well over a foot of the white stuff, some of which was a heavy, wet snow that actually took down tree branches and caused power outages. If you were to put a visible satellite in motion you would be able to see the snow very well as most of the state is covered with it. You may be asking yourself how you can tell the difference between snow and clouds? It's fairly simple, clouds will move with time but snow on the ground remains still! Temperatures going into the weekend are expected to warm back into the upper 50s and low 60s there so I would imagine a lot of it will be melted just in time for Halloween! An area of low pressure currently in Arkansas will trek to the east-northeast tonight and tomorrow, arriving along the east coast somewhere between Hartford, CT and Washington, DC. Depending on the exact track of this low, some snow could fall at sea-level in many of the big cities of the Northeast, including New York, Philadelphia, and Boston. As it stands right now, the official forecast takes this low too far to the north for "big city snow", with mainly rain expected. Inland locations like Albany, NY could see a few inches of heavy, wet snow Thursday night. A series of upper level disturbances will begin to move through the northern Plains and into the lower Great Lakes the next several days. The first will move through later this afternoon and evening, the second on Friday and the third now Sunday. With each one that comes down it will reinforce the cooler air across the Midwest. Since these 'mini-lows' will be coming from the northwest they will be lacking sufficient moisture, however, light showers can't be ruled out. The coldest one to come down looks to be the Friday afternoon disturbance. In fact, there may even be a few snow flakes that could be mixed in with the sprinkles/light showers. The greatest threat for that does appear to remain north of the Wisconsin Dells. Hopefully it stays there! (10/26/2011 5:18:23 AM) nwsbot: BOU: 1 N Greeley [Weld Co, CO] trained spotter reports HEAVY SNOW of M10.3 INCH at 03:59 AM MDT -- considerable tree damage. snowfall rate of 2 inches per hour since 2 am. Hurricane Rina continues to strengthen and slowly move toward the west at 3 mph. It is now a strong category-2 storm with 110 mph maximum sustained winds, located 250 miles southeast of Cozumel, MX. Additional strengthening is possible tonight and tomorrow, and Rina could soon become a major, category-3 hurricane. A hurricane warning is now in-effect for the east coast of the Yucatan Peninsula from Cancun southward to Punta Gruesa. Rina is expected to produce a storm surge 5 to 7 feet above normal tide levels and drop 8 to 16 inches of rain on the eastern Yucatan when it brushes the area Wednesday night and Thursday. Light rain will continue across the area this morning with a warm front drapped across southern Wisconsin. The cloud cover and rain have held temperatures in the lower 50s so far this morning and our high today will depend heavily on whether or not we clear out in time for us to recover this afternoon. Right now it looks like the remainder of this morning will stay cloudy with sunshine filtering in before low pressure and a cold front move in this evening. That's what Denver, Colorado will be dealing with later today and tomorrow. A record high of 80° was recorded in Denver Monday afternoon but a powerful storm system will pull down a cold blast of air and keep temperatures only in the low 30s by Wednesday!! Now it's typical weather for the front range but I couldn't imagine wearing short sleeves and shorts one day to digging out possibly a foot of snow just 36 hours later. Winter Storm Warnings have been issued for most of Colorado including the Denver area. Temperatures will be in the 50s today and low 30s tomorrow. Showers and a few thunderstorms formed overnight along and ahead of a warm front that currently sits in southern Wisconsin. Just within the past 45 minutes there have been a few more isolated storms that have formed in eastern Iowa as the low level jet continues to run into the warm front. Storm motion is to the east/northeast around 30mph and may move into northwest Illinois later this morning. As the low level jet continues to run into the warm front this morning it's possible that small hail may form with a few of the stronger cells. We've had some calls in the newsroom from people seeing pink and whitish lights on the horizon this evening. 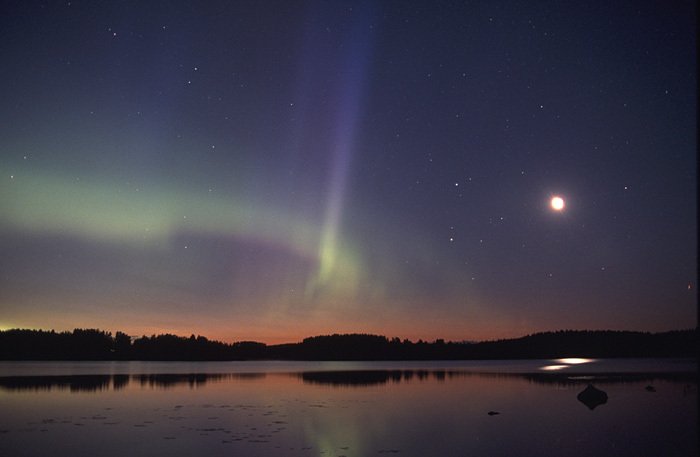 Based on these descriptions -- and a high auroral activity forecast (see this link for nightly auroral forecasts) -- I'm betting people are seeing the aurora borealis (northern lights) tonight. If you happen to see them on the northern horizon, snap a photo and send it to weather@wtvo.com. We now have a hurricane in the Atlantic Basin! Hurricane Rina recently achieved this status, with 75 mph maximum sustained winds. Rina is located in the southern Caribbean Sea off the coast of Belize and is moving WNW at 3 mph. Although no watches or warnings are in-effect, Rina will likely strengthen over the next couple of days and could eventually impact Belize and/or the Yucatan Peninsula of Mexico. If Rina emerges into the Gulf of Mexico, it could eventually impact the Gulf Coast of the U.S. There is still a lot of uncertainty in the movement of this storm, so stay-tuned. It will be a roller coaster of a ride temperature wise this week with highs the next couple days in the middle and upper 60s and then falling into the low 50s by the end of the week. Temperatures should moderate back to average by this weekend (our average high now is 59°). There will be a couple systems that will move in from the northwest after Tuesday's storm as the jetstream shifts to more of a northwest flow. The first will come through Friday and the second Sunday. Each will have to be watched for further development to the south as right now I have a dry forecast during that time. Southerly flow should return by next Monday which may keep temperatures above average going into next Tuesday. The 60° temperature trend will continue for a couple more days before the low 50s round out the work week. A cold front passed late Sunday evening generating a line of showers/storms that moved through southern Wisconsin and northern Illinois. Behind the front a more dry and 'cool' air mass will be found but temperatures today should be able to rise back into the low to middle 60s. The next weather maker is already moving onshore in the Pacific Northwest and we'll begin to see the effects of it beginning tonight. Clouds will continue to increase as warm and moist air move in from the south aided by a pretty strong low level jet. It's possible that showers and maybe a few embedded thunderstorms will form north of the Wisconsin/Illinois border during the overnight and early Tuesday. As it looks right now the warm front will sit just to our north keeping us with a southerly wind while a northeast wind will be found further in Wisconsin. We should be able to squeeze out some sunshine during the afternoon and that will be enough to bump temperatures into the upper 60s across northern Illinois, with a few cities to the south squeezing out the low 70s. North of the front temperatures will be held in the low 60s thanks to cloud cover and showers. The low pressure and associated cold front will pass during the evening shifting winds more north/northeast once again pulling down a cooler air mass that will be in place through the end of the week. A weak cool front is pushing in from the west tonight. A very strong upper disturbance moved across Wisconsin this evening, and was able to generate a squall line of thunderstorms with small hail that moved across the Stateline around 10 pm. The line is moving east to southeast at 45 mph, and will be well to the east of the area by midnight. Skies will become partly cloudy, and then mostly clear later tonight. Monday will be mostly sunny and pleasant with a high in the middle 60's. The next system to affect the Stateline will begin developing over eastern Wyoming by the supper hour on Monday, and it will pull a warm front up across northern Illinois by Tuesday morning as the low moves to southeast South Dakota by 6 am on Tuesday. There may be some showers and thunderstorms on Tuesday as the low moves to near Dubuque, Iowa by the supper hour. Temperatures will be mild with a high in the upper 60's. In fact, there is potential for temperatures in the 70's across the Stateline if the low takes a track further to the north.. The best chance for thunderstorms will be during the afternoon on Tuesday in advance of a cold front dropping southwest from the low all the way down into the Texas panhandle. The cold front will move across the area on Tuesday night, and it will be breezy and much cooler on Wednesday with highs only in the low 50's along with mostly cloudy skies and a chance of showers. Thursday will be partly cloudy, and the rest of the week will be sunny to mostly sunny and chilly with highs only in the low 50's and lows in the low 30's. It will remain mostly clear overnight..... just a few high cirrus clouds overhead, and it will be seasonally cool with a low in the upper 30's. On Sunday a weak disturbance could cause some widely scattered light rain showers, but the temperature will turn out to be a little warmer than average with a high around 67 degrees. Scattered showers will continue on Sunday night, and the low will be a little above average... in the middle 40's. The disturbance will move east on Monday leaving skies mostly sunny, and temperatures will be pleasant... in the middle 60's. On Monday night a warm front will lie from southern Illinois to an intensifying low over western South Dakota. The warm front will move through the Stateline by daybreak on Tuesday as the low develops eastward into southwestern Minnesota. Scattered showers are possible ovenight as the front moves through. It will become quite breezy on Tuesday, and with the vigorous system moving through, there could be some thunderstorms with some gulf moisture being tapped. The low will move rapidly to the northeast to a position over Lake Huron by early Wednesday, and colder air will follow in behind the front for Thursday, and the rest of the week. All Freeze Warnings and Frost Advisories have been canceled now that temperatures are warming through the 30s. It was a chilly and frosty one, though, this morning. Several people reported frost either on their car windows or backyards. Temperatures fell into the upper 20s (especially west of here) and low 30s as clouds lingered a little longer yesterday evening and winds were around 5-10 mph so temperatures didn't bottom out too much. Mostly sunny skies today will warm temperatures into the middle 50s. Winter 2011-12... Cold and Snowy? According to the latest National Oceanic and Atmospheric Administration (NOAA) winter outlook, the Stateline has a better-than 33% chance of seeing a colder than normal winter. We also have a greater-than 33% chance of seeing higher than average precipitation and resultant snowfall. produce heavy snows over the area. Another, perhaps equally-important climate phenomena is the Arctic oscillation. This cycle is a lot more difficult to predict, but if it tends negative -- toward a cold phase -- like it did last winter, we could be in for frequent outbreaks of cold air. 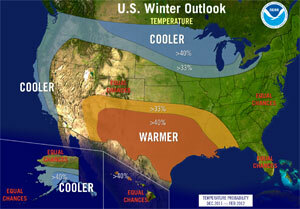 To see NOAA's full article on the winter outlook for the U.S., click here. Freeze Warnings and Frost Advisories have been issued for southern Wisconsin and northern Illinois beginning early Friday morning. While the clouds are holding thick and the winds are whipping through the Stateline high pressure will move in later this evening. A more northwest wind today will bring down drier air and that should help to erode away our clouds and eventually calm the winds. Although most of today will be cloudy and windy, conditions overnight and early into Friday morning will be favorable for heavy frost development. So if you had any plants that made it through the last frost we had a couple weeks ago they likely won't survive this one. Once we get a hard freeze there will be no more frost/freeze headlines issued until next year. What Happened to All the Rain? Last night at this time, I remember looking at a developing area of low pressure near the Tennessee/Kentucky state line and thinking, "Wow! This thing could dump almost an inch of rain in DeKalb and McHenry counties by Thursday morning." I also mentioned about a tenth to a quarter-inch of rain in Rockford. Instead, we've seen (as of this writing) 0.04" in Rockford, 0.27" in DeKalb, and 0.10" in Rochelle, and we probably will only see a few more hundredths of an inch overnight. Quite a bit less than I thought. As the surface map at left shows, the main area of low pressure is now located in central Ohio. Last night at this time, it appeared that this low would be located about 100 miles to the west of its current location (near the Ohio/Indiana state line). This difference in track kept the heaviest rains to our east. For example, Chicago's O'Hare Airport has picked-up 0.68" of rain so far. Showers across southeast Wisconsin will continue to fizzle along with the western edge of rain that is moving through Chicago as they encounter a little more of a drier air mass. Light rain will continue to move in from the east through the afternoon. The clouds will remain thick, however, keeping temperatures in the upper 40s. Winds have been strong this morning with gusts coming in from the north as high as 30mph. Higher gusts will be possible later into the evening. Later this afternoon and evening I am anticipating the rain and wind to increase in coverage and last through Thursday morning. There will likely be a sharp cut-off as to where the heavier rain falls. At this point it does look like the totals that will be over one inch will be to our east. Closer to home around a half an inch to three quarters inch rainfall will be likely. The further west you head the rain totals will continue to decrease. Winds will continue to whip the rain around Thursday before relaxing some late in the day. (9:53:52 AM) nwsbot: MKX: 3 E Sheboygan [Lmz643 Co, WI] public reports WATER SPOUT at 09:27 AM CDT -- waterspout observed offshore east of sheboygan. 9:52:26 AM) nwsbot: MKX: 5 Ene Oostburg [Lmz643 Co, WI] public reports WATER SPOUT at 09:20 AM CDT -- public report of waterspout off the coast between oostburg and sheboygan. A Wind Advisory has been issued for both McHenry and Walworth counties that will go into effect later this afternoon and last through Thursday morning. A band of rain continues to move in from the east this morning as low pressure lifts north through the lower Ohio River Valley. Stuck under the cloud cover for the day temperatures won't rise much past the middle and upper 40s this afternoon. As the low moves into Ohio and Indiana today winds will gust from the north/northeast as highs as 45 mph at times, especially later in the day and evening. Showers will increase in intensity and coverage this evening and overnight with the heaviest of the rain being found to our east. While the rain will likely be ongoing Thursday morning the showers should begin to end from west to east early in the day as the low moves into the northest. As it does so, the winds will ease some but it will still be a fairly windy and cold afternoon. A very powerfull fall storm is beginning to take shape this morning as strong winds within the jetstream push it all the way down to the south. At the surface, this causes an area of low pressure to rapidly develop...which is occuring in the lower Ohio River Valley this morning. This low will lift north late this afternoon and evening reaching its peak intensity overnight/early Thursday morning. At the same time high pressure will move in from Canada across the northern Plains and the difference in pressure, known as a pressure gradient, will be fairly large: from a 995mb low this morning to a 1026mb high in the Plains. Now wind gusts this morning are approaching 25-30mph but those gusts are expected to increase later today as the low moves closer and the high settles into the Midwest. That's why we could have gusts here nearing 45mph, however, closer to the center of the low those gusts could approach 60mph near Chicago and northwest Indiana! High Wind Warnings, Lake Shore Flood Warnings, Gale Warnings and Storm Warnings have been issued for locations along the shores of Lake Michigan. Once the low begins to weaken and move further northeast late Thursday the pressure gradient will relax some helping to calm our winds. But until then it's going to be a cold and blustery Wednesday and Thursday. Since it's been on the chilly side lately and tomorrow and Thursday's highs will only be in the upper-40s to near 50, I thought people might be encouraged by some warm memories. If you were around in 1953, you might remember that on this date, it was quite warm 58 years ago! The high temperature was 86 degrees, tying a record high that was also set in 1950. This record warmth came amidst a "6-pack" of 80+ degree days. Temperatures also tied or exceeded record territory on the following two days. I must remind you that this is a little ways out and it could change but the latest run of the GFS weather model is indicating a much colder blast of arctic air by the end of this month. Looks like sometime around the 27th or 28th. The image on the left shows the temperatures, height and wind plotted at 850mb for next Thursday evening. The temperatures at this level fall anywhere between -9° and -12°! This would suggest highs in the upper 30s/low 40s! In the coming days we'll see if this will in fact really play out! May be a chilly one for the weekend trick or treaters! A powerhouse of a storm system will bring us a taste of November in the coming days - starting with this afternoon. Cloud cover from showers south will keep temperatures cool; highs will only reach the low 50s. By tonight and early Wednesday the low in the lower Mississippi River Valley will combine with a low near Florida. As these two lows come together they will help push the jetstream further to the south but gain strength as they do. The low will then move north through the Ohio River Valley during the afternoon and eventually into Michigan by Thursday morning. Because the low will be developing in close proximity to our region the winds will be pretty gusty from the north/northeast Wednesday and especially Wednesday night into Thursday. Gusts could be as high as 40mph or better at times! This combined with the associated cloud cover and rain will keep temperatures in the 40s for both days! The past couple weather model runs have actually been pushing the surface low further west closer to Chicago. Lake enhanced rain showers will be likely for the south shores of Lake Michigan where some totals could near the two inch mark. Closer to home around a half an inch to three quarters inch could be possible. 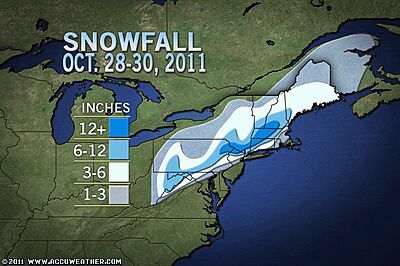 Now if the low were to track a little further west the totals would go up as well. Overall, expect Wednesday - especially later in the afternoon and Thursday to be very raw days! Wind gusts in excess of 60mph early this evening along with very dry soil conditions led to this dust storm in the Lubbock, TX area. Lubbock has received just 1.67" of rain this fall season, which is 2" below normal. An even more staggering sign of how dry this area has been: Lubbock normally sees 16.74" of precipitation for the year by October 17th. Instead, they've seen just 3.16". That's about five times less rainfall than what is normally seen by this date! Watching the Gulf: Heavy rain in the east? A broad area of low pressure is located over the south-central Gulf of Mexico this morning and continues to bring showers and thunderstorms over the Florida Keys and southern Florida. While this low hasn't changed much over the past day the National Hurricane Center is giving it about a 60% chance of some type of tropical development within the next day or so. Whether or not it develops into something has yet to be seen, but heavy rain will continue to fall across the Yucatan Peninsula, Western Cuba, Florida Keys and southern Florida. An air force reserve reconnaissance aircraft is scheduled to investigate the low later this afternoon. Later in the week that low is expected to combine with a disturbance moving through the Plains, that's where our cloud cover this morning is coming from, and move up the east coast by Wednesday and Thursday. As it does it will pull tropical moisture northward and potentially bring heavy showers through the Mid-Atlantic and Ohio River Valley before lifting by this weekend. From the 2nd of October to the 13th temperatures were above average with the warmest reading this month on the 7th where we reached a high of 83°! Overall, the month was almost 6° above it's monthly average. It appears, however, that our lucky warm stretch has ended. While we may get a warm day here and there it does look like temperatures will either stay right at or a little below as we end the month of October. We may even need to break out the winter jackets as morning lows this week will fall into the low 30s! It's been a month of ups and downs with temperatures for the most part running above average some +10° at times. All of that is about to change, beginning with this afternoon and lasting through the end of the week. Temperatures this past weekend were in the low 60s but with a constant flow of cooler air being brought in today highs will top 59°. This continued cold air advection will be in place as an area of low pressure currently moving through the Plains this morning slides just to our south and strengthens over the Ohio River Valley by Wednesday. As the low strengthens and high pressure moves straight down from the north the cold air from northern Canada will spill southward into the Midwest and Great Lakes. Of course it will modify some but remain cold enough to keep highs Wednesday and Thursday only near 50°. If the chilly air weren't bad enough we'll be dealing with a fairly brisk wind straight from the north. That combined with cloud cover and on/off rain showers will make for a pretty blustery Wednesday. Temperatures will begin to moderate some by this weekend but looking at some of the longer range forecasts it appears as if we could be in for another chilly blast sometime around Halloween! It was another breezy day courtesy of the massive spinning storm center over southern Hudson Bay. High pressure over South Dakota will move to western Iowa by 6 am on Monday morning. Skies will be clear overnight, and it will be chilly with an overnight low dropping into the middle to upper 30's. It will be breezy enough to preclude the development of any frost. On Monday it will start out sunny, and become partly cloudy during the afternoon as the high pressure weakens. It will be on the cool with a high in the upper 50's along with breezy conditions again in the afternoon. On Monday night a surface low pressure area will traverse from northwestern Arkansas to the the southern tip of Illinois, so that on Tuesday it will increase clouds over northern Illinois, and give the Stateline a slight chance of light rain showers. The scattered light showers will linger into Wednesday as low pressure consolidates, and intensifies from eastern Kentucky to the Virginia coast. As the system intensifies, a strong northerly wind flow will develop across the Stateline on Wednesday. The temperature will be hard pressed to rise above 50 degrees. It will be cold on Wednesday night with Canadian high pressure ridging from Hudson Bay across Minnesota, Iowa Missouri, into a center over Arkansas, and then southward into the Gulf of Mexico. It will be mostly clear and cold on Wednesday night with a low in the lower 30's (33 degrees), but there should be enough of a breeze to prevent much frost. It will be clear and cold on Thursday night as the center of the high moves to Tennessee. The wind could easily go to calm on Wednesday night, so heavy widespread frost, and a hard freeze are possible. Friday will be sunny and continued cool with a high around 57 degrees. It will be mostly sunny and warmer on Saturday with a high near 60 degrees. You may wonder why we had so much wind today... Well, the answer is the tight pressure gradient between an extremely intense area of low pressure (28.70"), over James Bay in Canada (the southward extension of Hudson Bay into extreme northeastern Ontario)... and high pressure sitting over Arkansas. Whenever there is a tight gradient, a large difference in barometric pressure between a high and a low, there will be strong winds, and we had them here today. The wind gusted up to 44 mph at the Rockford airport this afternoon. The wind has diminished tonight as the low draws slowly toward the north, and a new weaker low moves in our direction out of the northern Rockies. Showers have developed over Minnesota, and western parts of Wisconsin this evening, and they are moving toward the southeast. Skies will be mostly cloudy overnight with some light showers that could last off and on through 9 am on Sunday morning. Not more than a few hundredths of an inch are expected because the air is quite dry, and it will take some time to saturate the atmosphere down to the surface. The overnight low will be in the middle 40's. On Sunday skies will start out cloudy with that chance of morning showers, and then the skies will start to break up, becoming partly cloudy in the Rockford area, and mostly sunny in the afternoon in the Freeport area, with a high close to normal, right around 60 degrees. It will be mostly clear and cooler on Sunday night under the influence of weak high pressure. On Monday it will be partly to mostly sunny with a high in the upper 50's. On Tuesday it will become mostly cloudy as a southern stream system moves east across southern Missouri. It will be close enough to possibly produce some scattered light rain showers across the Stateline. It will be quite cool with a high only in the low 50's. On Wednesday there could be some widely scattered light rain showers as the low moves across Kentucky, and the winds pick up from the north as a massive Canadian high pressure over Montana starts to take control of Stateline weather. The brisk winds straight out of Canada will continue through Thursday. Night-time lows will drop into the low 30's, but no widespread frost is expected until Thursday night when the winds finally dies down. It has been a very long and hard summer for the southern Plains as Kansas, Oklahoma and Texas have been under either an extreme or exceptional drought. Over this past weekend storms moved through parts of Oklahoma and Texas putting a very small 'dent' in the drought. And you can see this reflected by this week's drought monitor which was just released yesterday. While it's not much, there was a slight improvement. Flash Flood Watches had actually been issued for northern Texas as the rain came down. Unfortunately, it will take years for that area to recover from what has happened this year! I really hope this upcoming winter brings something for the south! While temperatures this afternoon will be chilly, next week some models are predicting highs only in the 40s! I'm optimistic that it won't get that cold but low 50s for high temperatures is chilly enough. We've been fairly spoiled the past week and a half in terms of nice, warm and sunny weather. This is because the jetstream pattern featured a ridge that extended all the way into southern Canada and kept a lot of the cold bottled north. That pattern is beginning to change, however. Temperatures won't be too terrible this weekend as a couple quick moving systems come through. The first will slide to our south Saturday night and Sunday with a few clouds and rain chance early in the day Sunday. The second, and stronger of the two - as it looks right now, will develop into a pretty sizable storm system that will eventually move up the east coast late next week. This low will help pull down that cold air from northern Canada as early as Tuesday and be with us through Wednesday and Thursday. Right now I'm forecasting highs to only be in the low 50s with Thursday morning's low temperature at 30°! While it doesn't look like it's going to be a prolonged cold event it will be long enough to remind us that winter is right around the corner! Here are some rain totals from today. Most of them are totals since midnight, except for the one on the bottom. Dual Polarization NWS Radar Upgrades Coming! We have come a long way in radar technology and a new upgrade to the current NWS radars will help to enhance how we're able to view severe and winter weather! In short, the current radar beam is only sent out in the horizontal gathering only the size information of a particle. Dual-Pol collects information on both the horizontal and vertical size giving us a better understanding of not only the shape but the size of a particle in a cloud. This will better help to identify where heavy rainfall is occurring during a severe weather event or snow versus sleet in winter weather. The Chicago NWS will be the first of the three (Milwaukee, Chicago and Quad Cities) radars that covers our viewing area to get the upgrade. This will take place October 17th through October 28th. We will be taking a training course on this new upgrade and its products so we'll have the knowledge and information to pass along to you at home! The Weather Surveillance Radar-1988, Doppler (WSR-88D) system operated by the Chicago National Weather Service Forecast Office serving northern Illinois and northwest Indiana will be enhanced with the latest dual polarization technology beginning October 17th for approximately 12 days through October 28th. This $40+M program will result in several benefits such as: better estimation of precipitation amount, size and type; better detection of hail; and in some situations additional information on whether and where a damaging tornado has touched down (as indicated by a “debris ball”). Dual polarization radar technology can better detect heavy rainfall in flooding events, improve hail detection in thunderstorms and improve classification of precipitation types (rain, snow, ice). It can also detect the presence of airborne tornado debris, giving a forecaster a higher degree of confidence that a damaging tornado is occurring. This helps a forecaster confirm and track the location of a tornado, which is especially helpful at night when tornadoes are difficult to spot with the human eye. Current National Weather Service radars provide forecasters information on precipitation intensity and movement (direction and speed). Dual polarization technology adds new information about the size and shape of an object, which will improve estimates of how much rain is falling, improving flash flood detection and warnings. During winter weather, dual polarization radar can tell the difference between rain, snow and ice, which gives forecasters a much better idea of what to expect at the ground. "For the residents of northern Illinois and northwest Indiana, this radar upgrade will help us provide better identification of heavy rainfall, hail and tornadoes, and better distinguish mixed precipitation during the cold season," said Edward Fenelon, meteorologist-in-charge of the Chicago National Weather Service Forecast Office in Romeoville, IL. "It will also aid us in identifying areas of icing aloft for aviation weather interests," added Fenelon. Installation will begin October 17th and will last about two weeks. During the upgrade, adjacent National Weather Service radars in Milwaukee/Sullivan, WI, Quad Cities, IA, Central Illinois and Northern Indiana will provide coverage. Installation of dual polarization technology in all 122 National Weather Service radars is expected to be completed in 2013. Thirty eight other Doppler radars owned by the Air Force and Federal Aviation Administration will also be upgraded. The National Weather Service is the primary source of weather data, forecasts and warnings for the United States and its territories. It operates the most advanced weather and flood warning and forecast system in the world, helping to protect lives and property and enhance the national economy. Visit us online at weather.gov and on Facebook. Visit the Chicago Forecast Office at weather.gov/chicago and on Facebook. For more information about the Dual Polarization radar upgrade, please visit our archived top news story at this link. The Amarillo, TX office also has an informative web page regarding Dual-Pol at this link. 11:15 am Update: Light rain continues to fall basically east of I-39 at 11:00am as low pressure have moved just north of Madison, WI with a cold front trailing south through Illinois. These showers have ever so slowly been moving east and will probably take their time to completely exit the area this afternoon. Behind the rain the clouds remain thick and temperatures will stay in the middle 60s through the remainder of the afternoon. Light to moderate rain will continue for the next couple of hours this morning across south-central Wisconsin and north-central Illinois. You can almost tell where the cold front sits as the rain has stopped falling west of Freeport down through Forreston and Dixon. Once the front passes late this morning the rain will end from west to east but the clouds will stick around and temperatures will rise only into the middle 60s. Winds will stay breezy today and really begin to pick up Friday afternoon. A wet spring and extensive July heat in the heart of the Corn Belt shrunk United States corn yields for the 2011 season. The United States Department of Agriculture (USDA) said the 2011 corn crop in the nation is projected to be lower than originally forecast. This season's U.S. corn crop yield is now estimated to be about a billion bushels less than original forecasts. During the start of this year, the USDA was anticipating a corn yield of 13.5 billion bushels for the 2011 season. By the middle of June, the USDA was forecasting a yield of 13.2 billion bushels. The projection now is for 12.5 billion bushels of corn to be harvested in the U.S. According to Expert Agricultural Meteorologist Dale Mohler, "Persistent wet weather this spring, followed by extreme and widespread heat during much of July is mostly to blame for the lower yields." Wet weather during May and June in a large part of the northern Plains and Midwest resulted in a substantial number of acres not being planted or planted late, compared to original expectations. Next, a large mass of 95- to 100-degree temperatures struck much of the same area in July and some cases the rain shut off completely. "The persistent extreme heat hit during the peak pollination period of the corn," Mohler said. Dryness hit some of the corn belt hard in August and also played a role in the lower yields. "The dryness hit at a time when the kernels typically fill out." Mohler said. While less of a factor in corn production, the southern Plains, Southeast and the Northeast also suffered ill-effects of the weather from an agricultural standpoint. The Texas drought goes without saying this summer. However, the extreme drought also extended into some corn areas of the southern Plains, such as Oklahoma and Kansas. Abnormally dry to drought conditions also affected part of the Southeast this summer and is still prevalent. A wet spring and sudden extreme heat and dryness in July, like the Midwest, was felt in the Northeast. Torrential rain and flooding problems followed in the Northeast during the late summer and early fall. The impact of the revised expected corn yield driving prices higher in corn-related products such as livestock feed and cereal is purely speculation. The USDA expects this year's yield to be the lowest since 2005. However, even with the setbacks from the weather this season, the USDA still expects this crop to be the fourth-largest production on record. Some experts feel that because of higher prices and less demand, China may not import as much corn as prior years. The effects of both could potentially balance out the yield shortcomings from a pricing standpoint. Heavy rainfall with a few embedded thunderstorms will continue to move almost due north from northern Lee County through Oregon, Polo, Mt. Morris, Forreston, Pecatonica, Durand, Pearl City and Freeport. With some of the heavier showers there may be a little ponding in some locations so be careful on your commute home this evening. Temperatures the past week and a half have been above average and quite nice if you ask me! This warm pattern, however, is beginning to break down. A quick shot of cooler weather will arrive late Thursday and Friday with a cold front that will pass later this afternoon and evening. Once that moves out of the Great Lakes the jetstream will turn zonal (run from west to east) into the weekend. Saturday should be nice but a quick moving system will move across the Midwest late Saturday into Sunday followed by another late ﻿Monday. It's the latter of the two that will actually tap a little into the cold air that has been bottled up in Canada for the past couple weeks. Temperatures by the middle of next week may not make it out of the 50s! The 6-10 Day Outlook indicates below normal temperatures from the 17th through the 21st with above average precipitation during that time. More to come later this week! 11: 30am Update: A band of showers continue to move north through Jo Daviess county likely producing some heavy rain. There are also a few showers just south of Freeport which may move into Freeport within the next hour. Showers and thunderstorms have developed in eastern Iowa ahead of a cold front that stretches through the eastern Plains. As the front pushes east through the afternoon storms will increase in coverage across northern Illinois and southern Wisconsin. The storms currently in eastern Iowa will continue to move north due to a southerly wind at the surface and aloft. There have been a few pop-up showers/storms that have formed across far northwest Illinois and just recently near Dixon. Some of those showers may grow enough to produce heavy rainfall. Should thunderstorms move in later this afternoon there may be enough instability to produce small hail. As the front pulls through the heavy rain threat will continue into Thursday morning. We'll be keeping a watchful eye on the radars this afternoon so be sure to keep checking back for the latest updates.